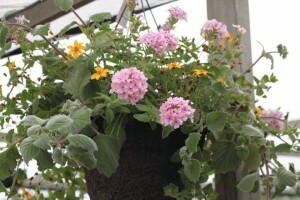 At Trees Today Nursery, we have literally over a hundred hanging baskets. Some are for sun, some for shade. 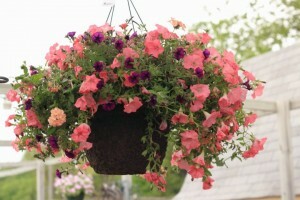 We have petunias to geraniums, lobelias to begonias, and many, many others in between. Stop in, you won’t be disappointed in our selection. 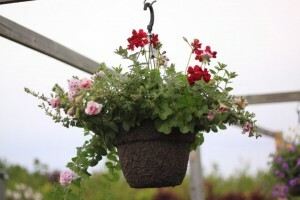 To keep your flowering baskets healthy and blooming, apply a liquid fertilizer every two weeks as frequent waterings cause the fertilizers to run out the bottom of the baskets. Petunias like additional iron. 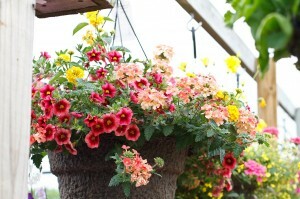 We have all the variety of fertilizers you will need for your hanging baskets.